Saleforce’s NGO Connect (formerly named roundCause) is the gift that keeps on giving. It is the cornerstone in Salesforce’s comprehensive CRM offering – Salesforce1 for Nonprofits. NGO Connect has leapfrogged both the Nonprofit Starter Pack (NPSP) and traditional fundraising applications to become the long-awaited “next generation” solution that eliminates data silos, provides the much-desired “360-degree view” of constituents, and drives increased engagement and fundraising. Heller Consulting has put together a list of the top 5 NGO Connect features in their paper, NGO Connect – Maximizing its Potential for You. So far, we have gone over Ease of Access and Viewing and Giving Summaries. 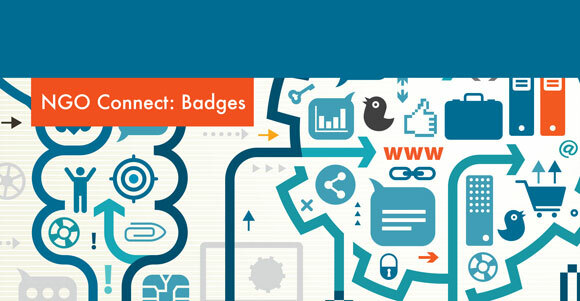 Today, we are going over the NGO Connect feature: Badges. NGO Connect comes with a set of standard “Badges” that automatically appear on qualifying Account and Contact records. Customers love these Badges that provide instantaneous visual cues as to whether or not a constituent falls into one of these categories. This is something that is often on an organization’s “wish list,” since it is not a common feature in legacy databases. Sample of an Account Badge signifying a Major Donor and a Sustainer. Image courtesy of roundCorner.